Following the success of the inaugural competition last year, the past few months have seen pupils from Severn Road PS, Kitchener Road PS, Ninian Park PS and Grangetown PS take part in the early rounds of the tournament. 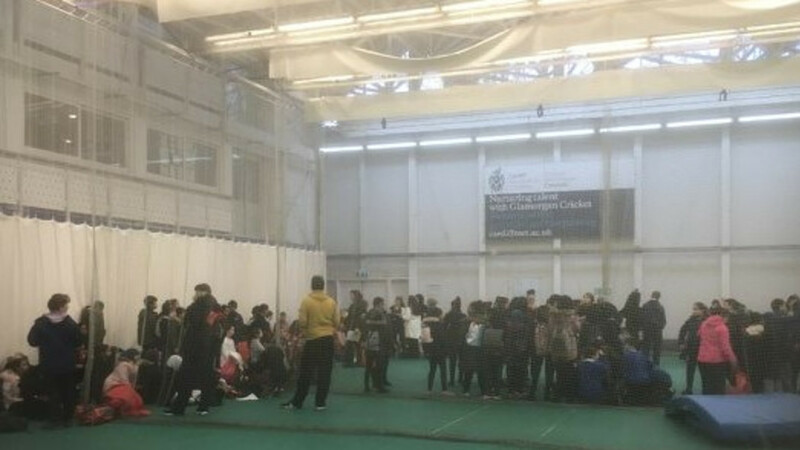 Pupils from Years 4 , 5 and 6 have each had their own day of cricketing activity at Glamorgan Cricket, and on Wednesday, a total of 230 pupils from each of the Year 6 cohorts in the participating schools took part in a series of softball games in the Indoor School, situated on the ground floor of the National Cricket Centre at Glamorgan’s Headquarters in Sophia Gardens. Whilst at the home of Welsh cricket, the boys and girls have also undertaken a whistle-stop Stadium Tour, dressing up in international shirts, as well as seeing behind-the-scenes at the ground which later in the summer will be hosting matches in the ICC World Cup, as well as Glamorgan’s domestic games including their all-action contests in the T20 competition which, last summer, were attended by many of the pupils who took part in the 2018 Riverside Challenge along with their families. Taking a leaf out of T20 cricket, the Challenge will culminate in a Finals Day at Sophia Gardens during early February when each of the participating primary schools will be fielding an A and B team containing their best players from Years 4, 5 and 6. After the keenly fought matches on each of the Year Group days, there is everything to play for.